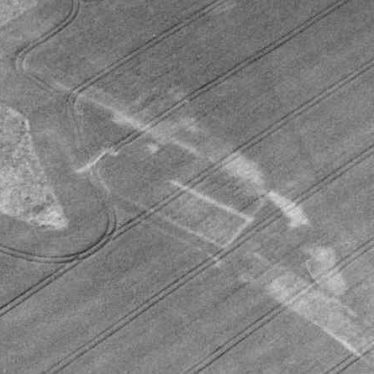 Several enclosures are visible as cropmarks on aerial photographs. They probably represent the remains of modern buildings. The site is located to the west of Tantara Lodge. 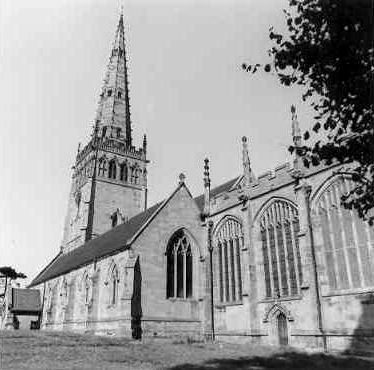 The Medieval parish church of St. Peter and St. Paul which is located 100m east of High Street, Coleshill. Four circles visible as cropmarks may be evidence of a Second World War searchlight battery or anti-aircraft battery. The crop marks are situated 250m northeast of Bradley Green. The site of terracotta, brick and sanitary pipe factory situated on the southern side of Tamworth Road, Polesworth. 1 A Second World War ammunition store. The remains of the building are partially visible as a cropmark near Radway. The site of a Second World War ammunition store. The outline of the building is partly visible as a cropmark. It is situated 250m north west of the church at Radway. The site of a Second World War air raid shelter which was located at Rosemary Hill. The site of a Second World War air raid shelter which was located on Bridge Street, Kenilworth. An air raid shelter on New Street – further details awaited. The site of a Second World War air raid shelter. It was located on New Street, Kenilworth. Modern finds from the potato field, Coleshill. 1Modern Coinage found by metal detectors. Findspot - modern coinage was found in a field between the A446 and the M42, West of Coleshill. Two World War II radio mast mooring blocks at Newbold Revel House, Stretton under Fosse. Two large concrete mooring blocks for a former radio mast, associated with the military use of Newbold Revel House during the Second World War. These are located at Newbold Revel House, Stretton under Fosse. Mid 17th century farmhouse, and associated barns at Oldfield Farm, Rowington. Royal Observer Corps Underground Monitoring Post at Bidford on Avon. Monitoring posts were to be used for reporting nuclear bursts and monitoring fall-out in the modern period. The post lies at the end of a farm track 500 meters from Stratford Road, Bidford. Royal Observer Corps Underground Monitoring Post at Curdworth. Monitoring posts were to be used for reporting nuclear bursts and monitoring fall-out in the modern period. The post lies on the west sideof Wiggins Hill Road, Curdworth. Royal Observer Corps Underground Monitoring Post at Harbury. Monitoring posts were to be used for reporting nuclear bursts and monitoring fall-out in the modern period. The post lies on the north side of Temple End approximately 600m outside Harbury village. Royal Observer Corps Underground Monitoring Post at Haseley. Monitoring posts were to be used for reporting nuclear bursts and monitoring fall-out in the modern period. The post lies in fields 200m north of Rouncil Lane, Haseley. Royal Observer Corps Underground Monitoring Post at Long Compton. Monitoring posts were to be used for reporting nuclear bursts and monitoring fall-out in the modern period. The post lies 30m East of the Kingstone, Long Compton. Royal Observer Corps Underground Monitoring Post at Napton-on-the-Hill. Monitoring posts were to be used for reporting nuclear bursts and monitoring fall-out in the modern period. The post lies in fields 200m south of Napton Windmill. Royal Observer Corps Underground Monitoring Post at Alderminster. Monitoring posts were to be used for reporting nuclear bursts and monitoring fall-out in the modern period. 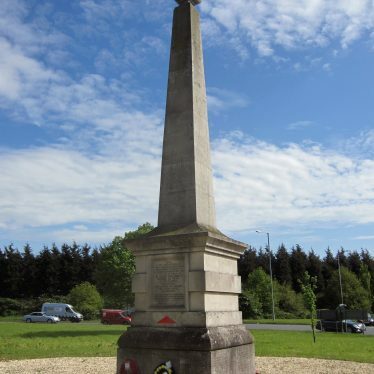 The post lies 200m west of the A429 / A3400 roundabout north of Tredington.